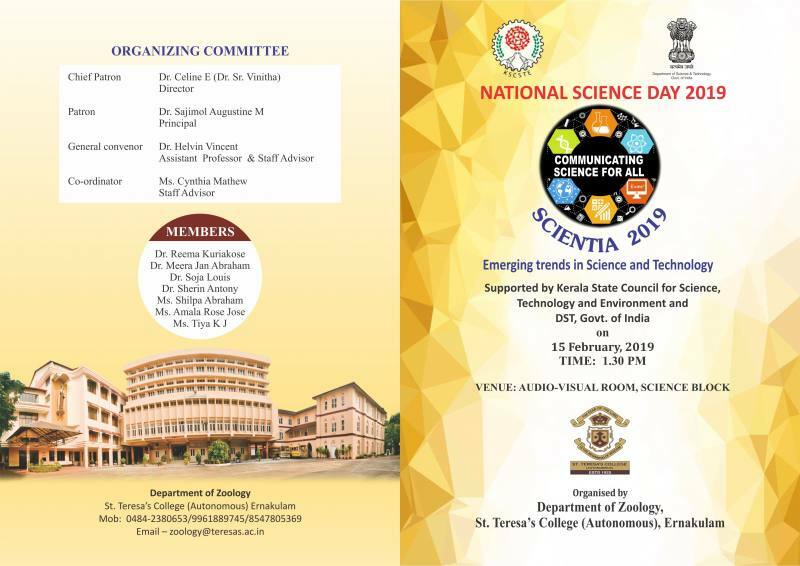 In connection with National Science day, Department of Zoology is conducting a one day Seminar, ‘SCIENTIA 2019’ – on the topic “Emerging trends in Science and Technology” supported by Kerala State Council for Science, Technology and Environment (KSCSTE) and DST, Govt. of India on 15th February, 2019. 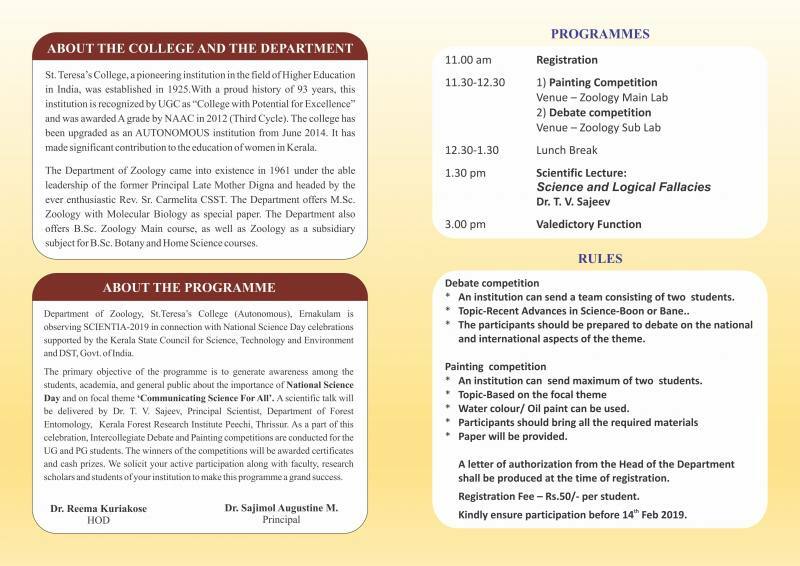 As part of the programme, debate and painting competitions will be conducted for UG and PG students. Cash prizes will be given to students securing 1st & 2nd positions in the competitions. 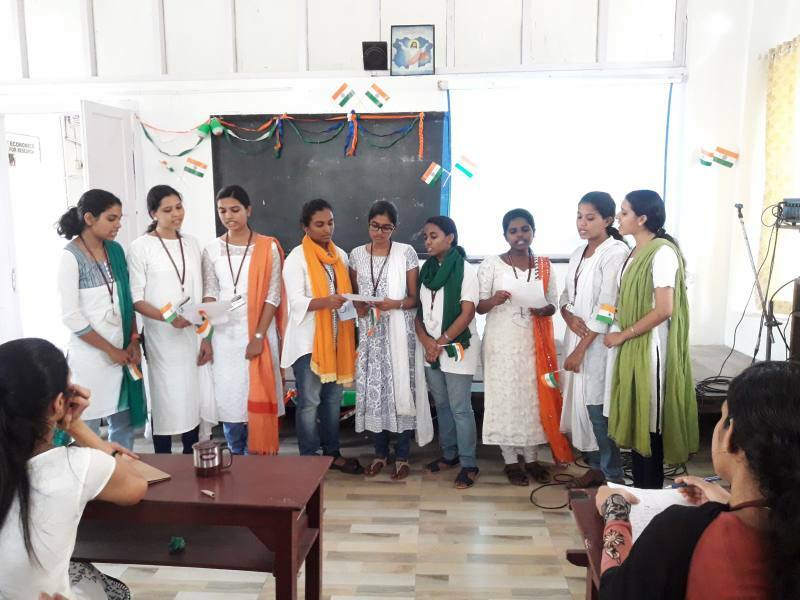 There will be a talk on the subject ‘Science and Logical Fallacies’ by Dr. T. V. Sajeev, Principal Scientist, Department of Forest Entomology, Kerala Forest Research Institute Peechi, Thrissur.